March, up 14% year-to-date from March 2016.
addition to small import volumes from Guyana and Spain. year-to-date imports compared to the same time last year. but year-to-date imports increased 11% from March 2016.
doubled in March to US$138,948. sawnwood, according to Statistics Canada. Brazil are classified “nes” (not elsewhere specified). Gabon, Malaysia and Thailand declined. 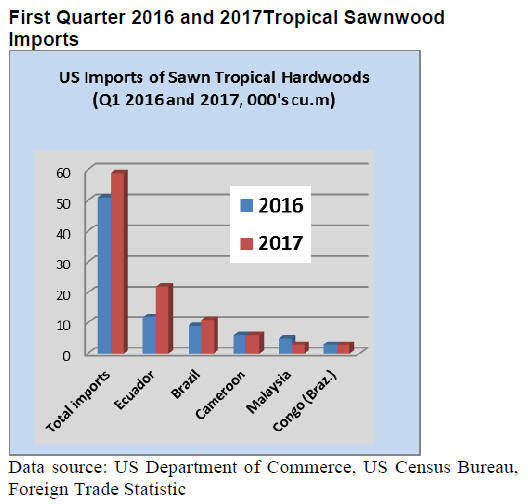 plywood imports to just over 60%. 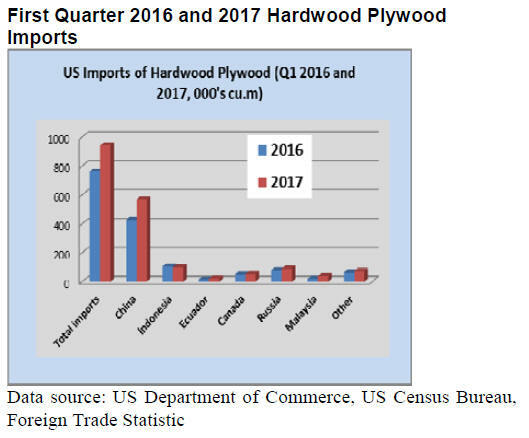 plywood exports to the US in March (5,335 cu.m.). but their value declined from the previous month. compared to US$209 million at the same time last year. Brazil shipped 17% less than in March last year. from Brazil increased to US$238,520 cu.m. in March. 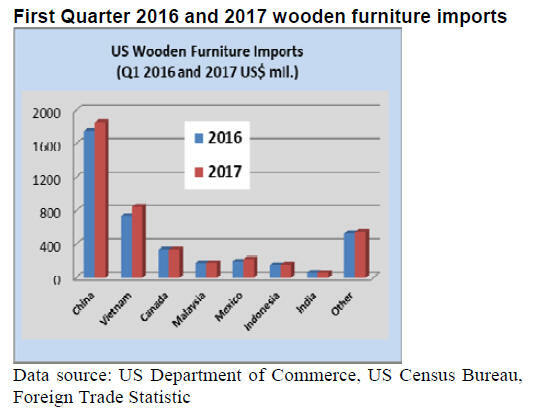 imports from Indonesia and Vietnam. from Indonesia and US$2.5 million from China. second consecutive month in March to US$1.24 billion. industry was unchanged from the previous month. household incomes grew and inflation remained low.